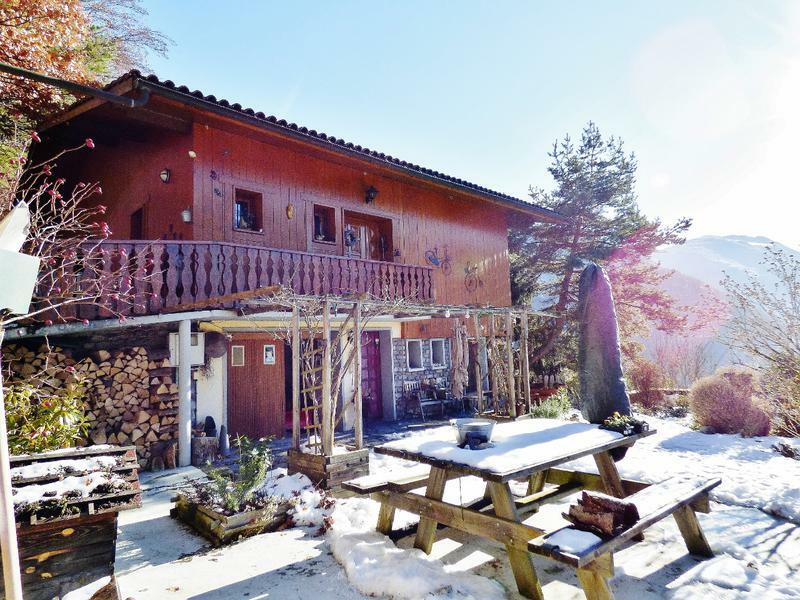 Great value mountain chalet home located only 5 km from Moutiers the 'gateway to the French Alps' within a few minutes you can ski in the worlds largest skiing domaine 3 vallees. 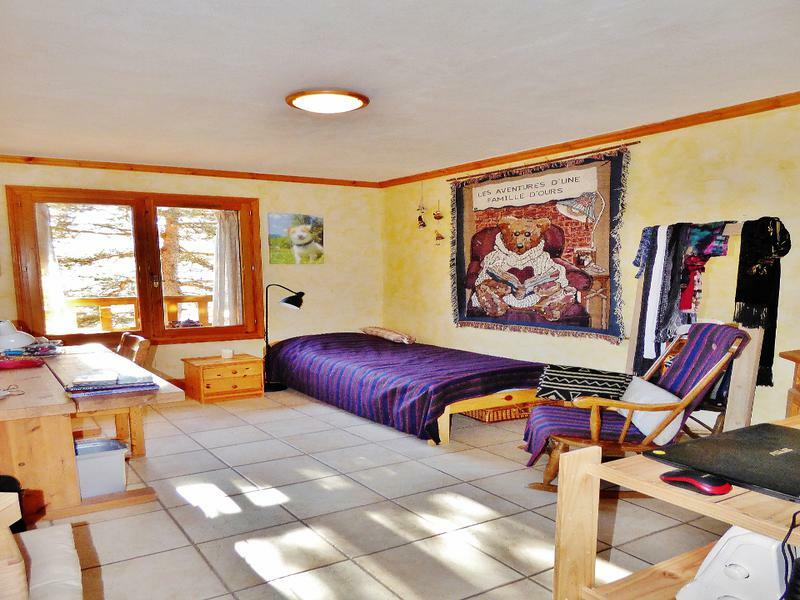 This wonderful property will amaze you with it's spacious and luxurious accommodation perfectly located to enjoy mountain life 12 months a year. Main Floor : Entrance, doors leading off to bedroom, WC, Bathroom with bath, shower attachment, vanity wash hand basin, Laundry room, Office room with provision in the walls for change of use to shower room with all connections to main water and drainage neatly concealed , broom cupboard under the stairs (housing electrical meter), main large lounge, kitchen and dinning room with beautiful log burning stove. 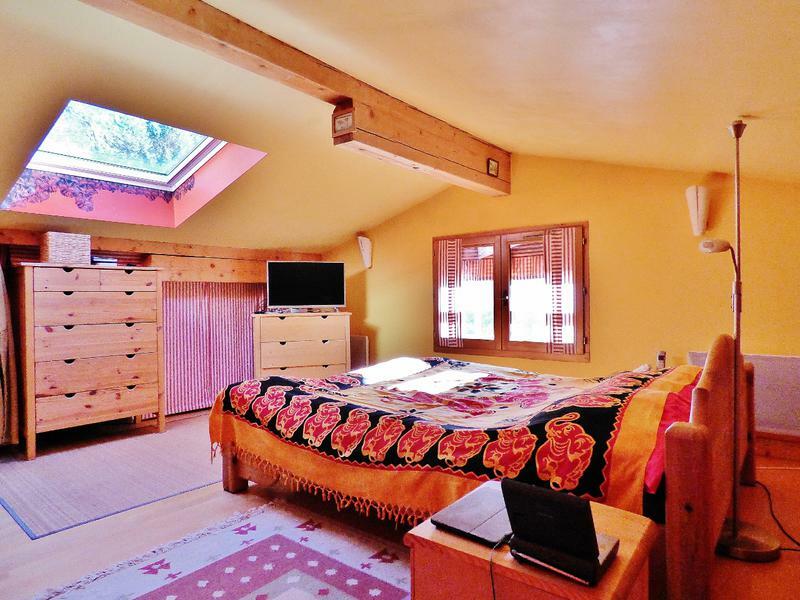 (Heating in the chalet is main level modern under floor heating under the ceramic tiles -electrical heaters are installed throughout the chalet for upper and lower levels. In both lounges there is either a traditional log fire place or modern log burning stove. 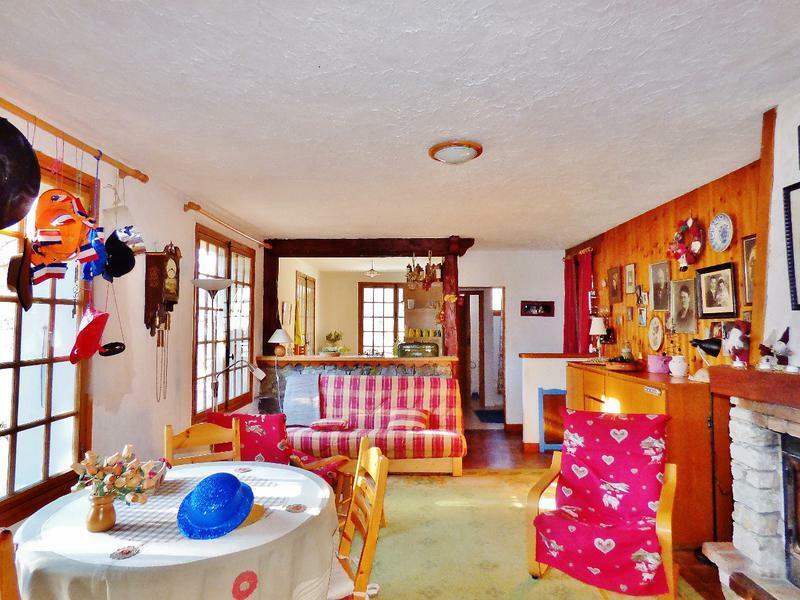 The open plan living room passes through into another spacious room which could make a wonderful home office, play room or create a separate formal sitting room. 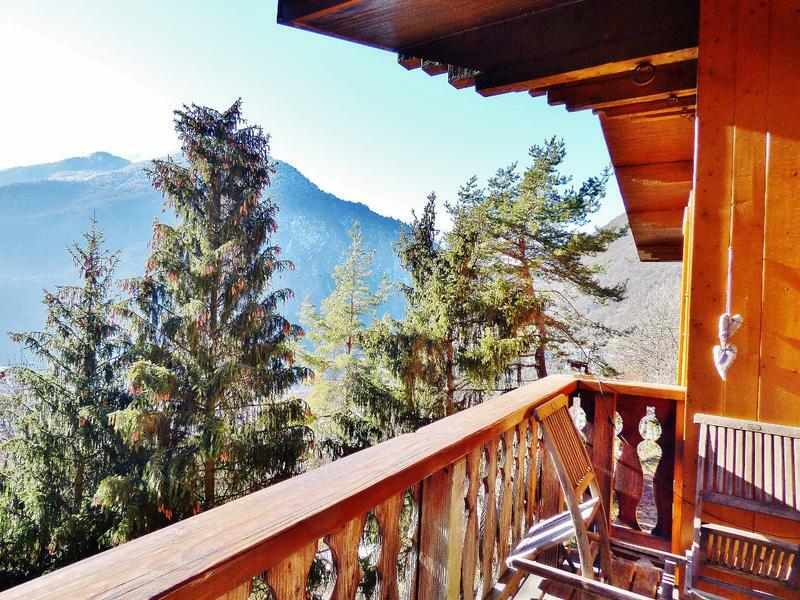 French doors lead out to private terrace with far reaching mountain views. First Floor: Mezzanine landing area, WC, shower room with vanity basin, 2 bedrooms with eave storage, 3 large Velux windows to allow natural light to pour into this beautiful home. Lower Floor: Garage and work shop to rear (ideal for garden equipment and BBQ), hallway, steps leading down into open kitchen and lounge/dinning area with a beautiful log burning stove as the focal point a must place to gather after a good day skiing, large bedroom with shower room to front of property, WC, storage cupboard, cloak room area in hallway. 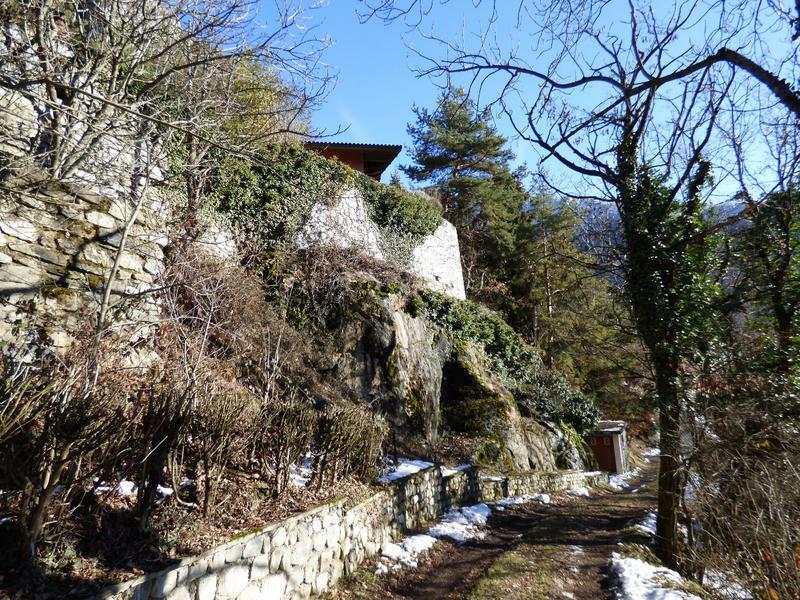 Access to large cave and garage. 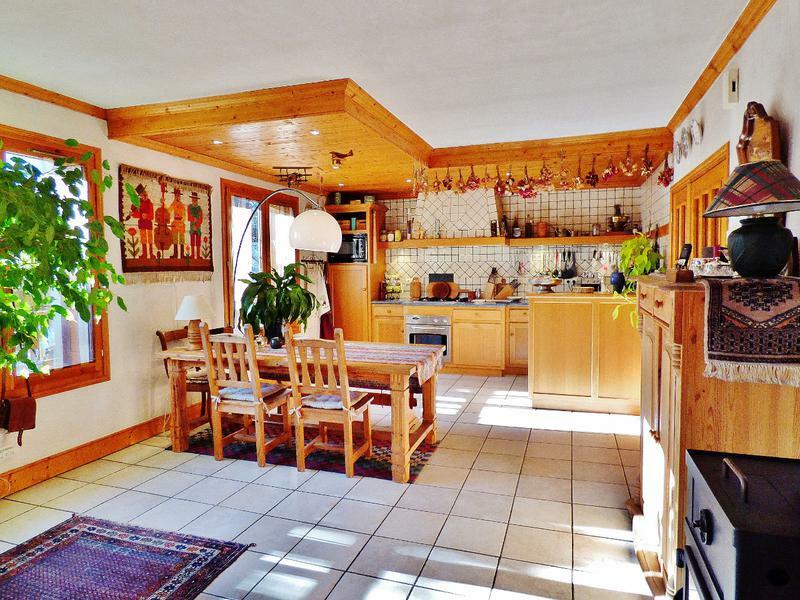 Enormous private garden and driveway with many beautiful shrubs, flowers and fruit trees. 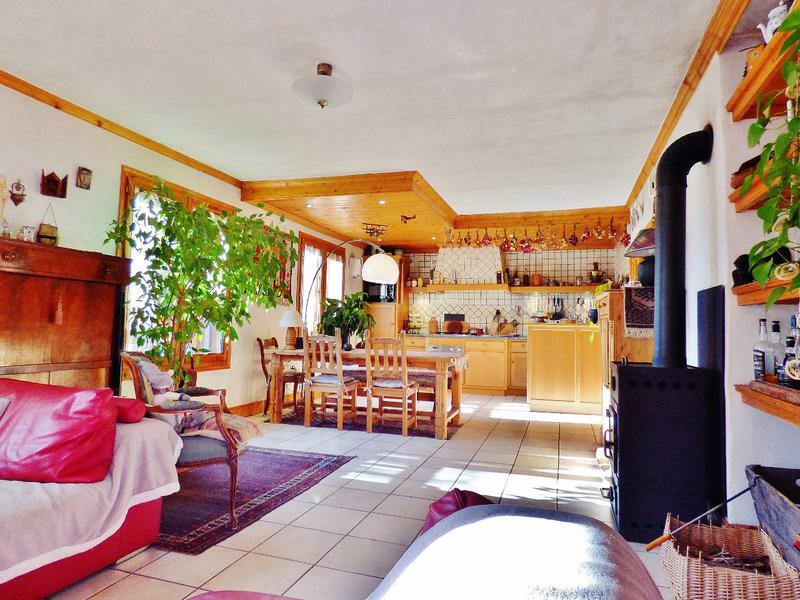 To fully appreciate all this chalet has to offer a viewing is highly recommended. Directions: You can arrive in Moutiers the 'cross Road to the French Alps by train or coach the famous snow train stops here during the winter months it is an amazing journey from London to Paris then Paris to Moutiers, Aime or Bourg Saint Maurice. Once you arrive in Moutiers there are FREE buses waiting to take you up to all of the ski resorts. This is a stress free, inexpensive way to enjoy your skiing holiday and fun. 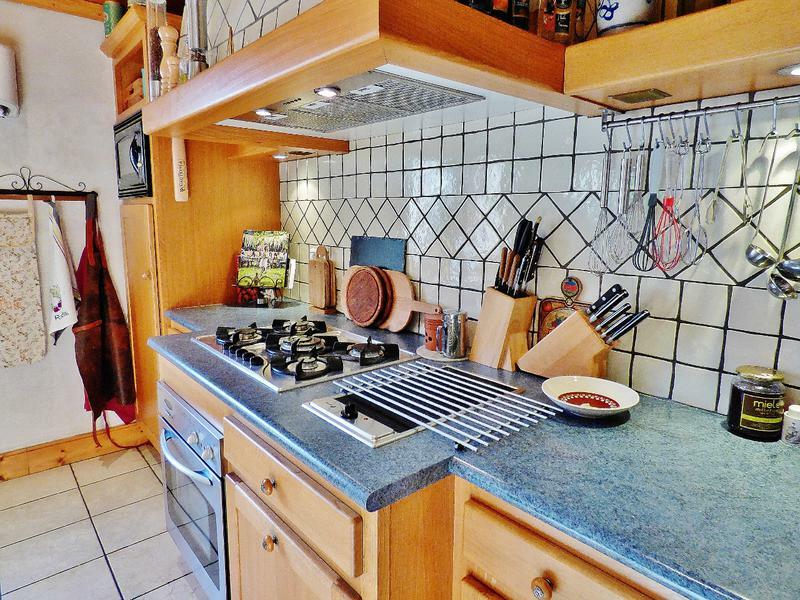 Simply walk home from the train or bus station, relax in one of the bars, enjoy a meal in one of the fine dining restaurants or simply go home take a bath then relax in front of the open fire in this cosy retreat. Arriving by air is easy too you can fly in to International airports, Geneva, Lyon, Grenoble or Chambery (winter months only) and catch either the bus or train directly to Moutiers. Depending on which airport you fly into the travel time will range from 1 hour - 2 hours.